When Lucy Klein gets her positive pregnancy results, she’s overjoyed. She and her husband Jack have been trying to get pregnant for years throughout their rocky marriage. But before she can tell him the big news, Jack has something he needs to announce – he wants a divorce! Rather than split up, Lucy and Jack decide to live together as friends. This way, they can share expenses and parenting responsibilities. Co-parenting is a fine deal for Jack who is back in the dating scene by Lucy’s third trimester of pregnancy, but is a frustrating one for Lucy who has unfulfilled sexual fantasies about every man from restaurant delivery boys to puppeteers. Meanwhile, Lucy’s mother is taking over her life. The grand dame of Planet Earth, Anjoli frequently visits her daughter to share her own brand of maternal wisdom. As Anjoli leaves her Drama Queen bookstore to “help” Lucy with baby Adam, the new grandmother has an affair with baby’s pediatrician, hosts two weddings (including cousin Kimmy’s wedding to herself), and constantly frets about which kind of pie to serve guests. 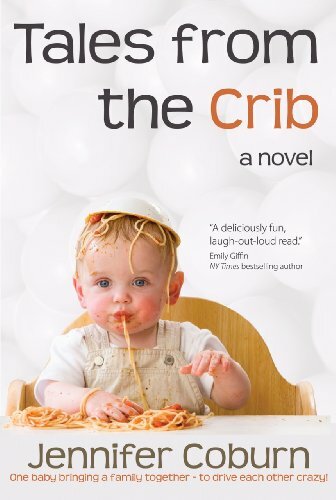 With a cast of family and friends from Lucy’s Jewish aunts to Junior League neighbor, Candace, Tales From the Crib is the story of how one baby can bring people together – so they can drive each other nuts! As a mother of three, Jessica Seinfeld can speak for all parents who struggle to feed their kids right and deal nightly with dinnertime fiascos. As she wages a personal war against sugars, packaged foods, and other nutritional saboteurs, she offers appetizing alternatives for parents who find themselves succumbing to the fastest and easiest (and least healthy) choices available to them. Her modus operandi? Her book is filled with traditional recipes that kids love, except they’re stealthily packed with veggies hidden in them so kids don’t even know! With the help of a nutritionist and a professional chef, Seinfeld has developed a month’s worth of meals for kids of all ages that includes, for example, pureed cauliflower in mac and cheese, and kale in spaghetti and meatballs. She also provides revealing and humorous personal anecdotes, tear–out shopping guides to help parents zoom through the supermarket, and tips on how to deal with the kid that “must have” the latest sugar bomb cereal. But this book also contains much more than recipes and tips. By solving problems on a practical level for parents, Seinfeld addresses the big picture issues that surround childhood obesity and its long–term (and ruinous) effects on the body. With the help of a prominent nutritionist, her book provides parents with an arsenal of information related to kids’ nutrition so parents understand why it’s important to throw in a little avocado puree into their quesadillas. She discusses the critical importance of portion size, and the specific elements kids simply must have (as opposed to adults) in order to flourish now and in the future: protein, calcium, vitamins, and Omega 3 and 6 fats. 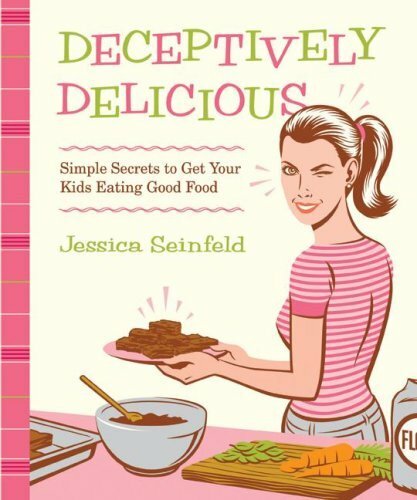 Jessica Seinfeld’s book is practical, easy–to–read, and a godsend for any parent that wants their kids to be healthy for a long time to come. Shandi Pierce is juggling finishing college, raising her delightful three-year-old genius son Nathan, aka Natty Bumppo, and keeping the peace between her eternally warring, long-divorced parents. 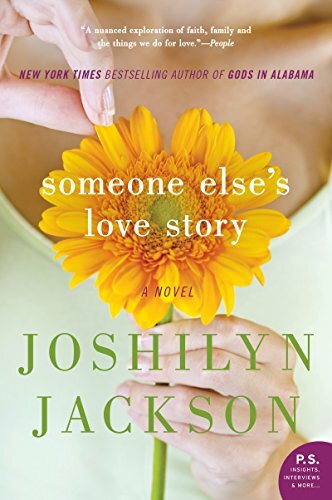 She's got enough complications without getting caught in the middle of a stick-up and falling in love with William Ashe, who willingly steps between the robber and her son. Neither has met nor knows about the other. Until fate, and their meddling fathers, intervenes. Ivy makes a bet with her friend that she most certainly can work in a menial, minimum wage job for a month. 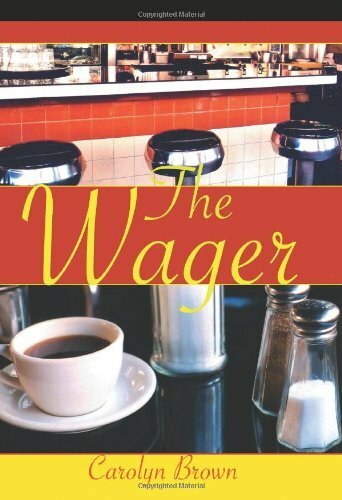 Meanwhile, Will picks up the challenge thrown out by his father and Red Marshall daring him to live in a small town and get a woman to say she’d marry him while knowing nothing about his wealth. Both wind up in Murray County, Oklahoma—Cameo as the manager of the Strawberry Moon, a small burger joint on Highway 77; Will, a chief cook and dish washer. She thinks he’s in the witness protection program. He thinks she’s a poor country girl from the boonies. But they’ve agreed there’ll be no past or future…only today while they’re working at the Moon. When the month is over they’ll both go their separate ways and never look back at what they shared. What they don’t realize is that their future is together, in work, and in love. Throughout the years, and despite what anyone says, we&apos;ve never crossed the line. 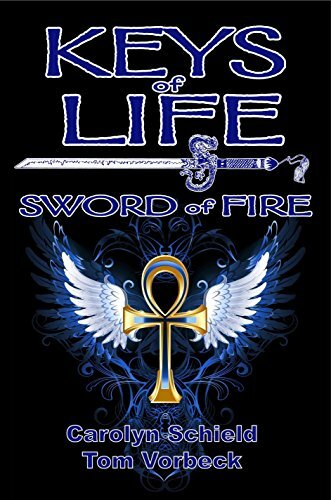 In the second installment of the Keys of Life trilogy. The violent war between the Pure of Heart and the Children of the Nephilim continues and Cordy and Ash run from Europe to New Orleans. The pair, along with a new ally, search for hidden family treasures to help them defeat the Nephilim. Meanwhile, the Guardian, a spirit of Earth, warns them that their next battle could be the most catastrophic the planet has ever seen rivaling the Great Flood. Jon Lafitte, are reformed pirate and consummate Frenchman, vies for Cordy’s affections while steering the trio along the Louisiana bayou to their biggest showdown yet. But Cordy finds it difficult to choose between the unpredictable Lafitte, and the one who’s always been there for her, Ash. Set sail with the Pure of Heart as they try to save not only their legacy, but also the earth as we know it. Le Veque. McQueen. Martin. Platt. Cameron. Markland. Vane. Kean. Rose…. Valiant Chaos by Kathryn Le Veque – A powerful foot soldier and a niece of the Earl of Warwick embark on a forbidden love. Highlander’s Captive by Hildie McQueen – Get swept away to the Highlands of medieval Scotland with these two intermingled love stories with equal measures love, danger and sensuality. With clan clashes threatening on two fronts, they may be entering into a battle for their own hearts. The May Fair Princess by Meara Platt – When Winifred Kingsley is rescued from peril on her way to the local May Fair by a mysterious nobleman, she never expects their meeting to open up secrets of her past. Ardaric Sinclair, fourth Duke of Blantyre finds himself drawn to the young beauty he has just saved, but in protecting her, has he placed his life at risk as well? A Ghostly Tale of Forbidden Love by Madeline Martin – Gavin MacDuff is a laird with a cruel and bitter aunt he’s sworn to protect and Senara is the new lady’s maid at Castle of Park who has sacrificed everything for the betterment of her family. Their paths tangle and lead to a road of hidden longing and secret passion – all of which is threatened by the power of one ghost who is fixed on revenge. Courageous Heart by Anna Markland – Lute von Wolfenberg is the carefree middle son of a noble Saxon family. Obliged to fight in a foreign war, he struggles to hold on to his sense of humor and optimism amid the atrocities of the campaign. He is drawn to Francesca di Cammarata, an arrogant princess, niece of his enemy. She cannot deny her feelings for Lute. The conflict will test their loyalty to country and family. A Kiss for Miss Kingsley by Collette Cameron – A sweet story of love relinquished and redeemed as once betrothed Allen Wimpleton and Olivia Kingsley meet again after a three year separation only to discover, their love is stronger than ever. Jewel of the East by Victoria Vane – His wounds run deep… but love is the eternal cure. When circumstance brings two damaged souls together, fate ignites a love story reminiscent of the Arabian Nights. A Viking’s Promise by Elizabeth Rose – Having the ability to see visions of the future, Kadlin warns Brandr and the Vikings not to leave to raid overseas. When tragedy strikes, Kadlin is left with a dainty blue forget-me-not as Brandr’s promise that they will someday be together again. A Knight’s Seduction by Catherine Kean – After taking Lady Claire Sevalliere hostage in a plot to slay his father, Tye plans to seduce her, for he’ll never be worthy of her love. He soon finds he is the one seduced, because Claire brings light to his tormented soul. As battle draws near, and he risks losing her, Tye must confront his greatest torment–and his destiny changes forever. 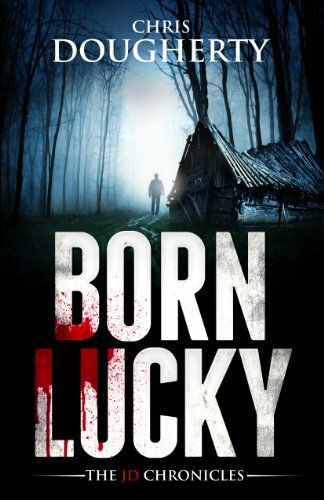 Join JD as he tries to help find a young couple who go missing in the forbidding Pine Barrens of South Jersey. 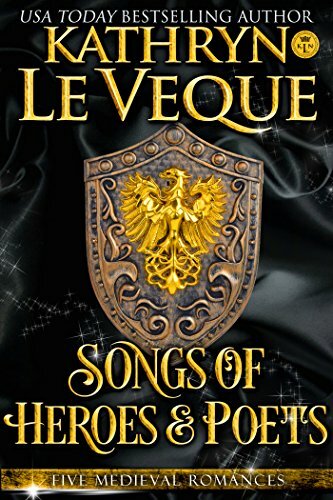 Over 2500 pages of great Medieval Romance reading from USA Today bestselling author Kathryn Le Veque. In days of old, oral traditions were often passed down in song, soft strains of heroes and warrior poets. Welcome to the world of Historical Romance like no other, where chivalrous knights and smart, strong heroines take you through great adventure and great passion. 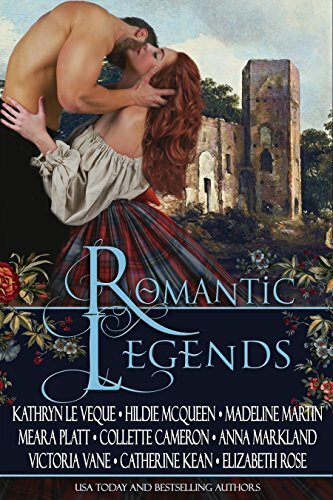 Enjoy some of Kathryn Le Veque’s finest Medieval Romance novels in this limited edition collection. Count Conrad’s word is law, and he’s decreed I will give him a baby! I was desperate, alone and lost. Like a white knight, Count Conrad took me in, giving me food, shelter, and a warm bed. I didn’t know the bed would be his. He expects me to serve him–in every way! But I’m not surrendering to his arrogance that easily. Except every word he speaks is a sin, sensual and teasing. He’s a cold as the castle walls and harder than the stones, but I think he likes my resistance. When every conversation is like foreplay and every meal a battle, every night becomes a struggle to not give in to our desires. I should leave, but he says I can’t escape. Not from him, and not from the connection we have. I don’t want to believe him, but it feels like we’re linked. He might act like a beast, but there’s beauty in his soul. But he hasn’t told me the complete truth. The castle keeps dark secrets, and the truth will put our lives in the greatest of danger.